With their diversity of form and colour it is sometimes easy to forget that the main purpose of flowers is to attract pollinators. 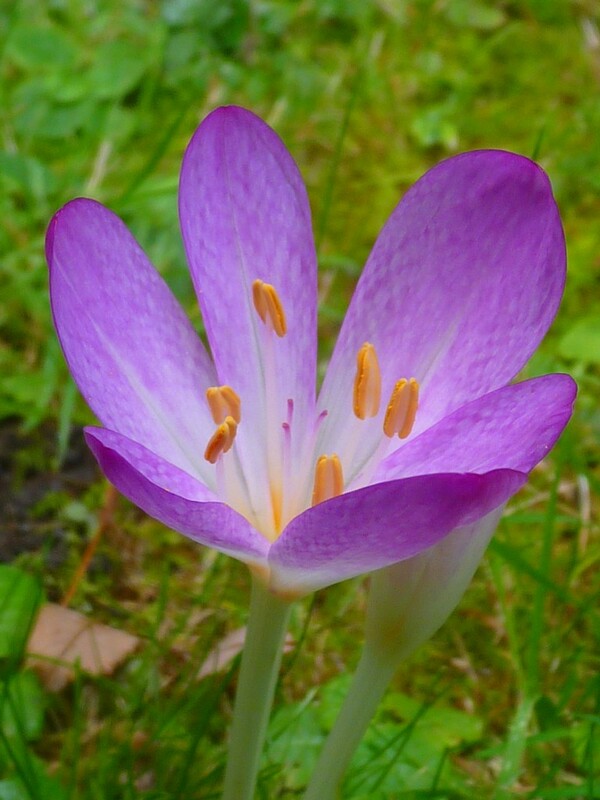 Crocus-like but a member of the Lily family, autumn flowering and useful in providing seasonal interest in meadows. The flowers are preceded by a rather untidy rosette of strap-shaped leaves. 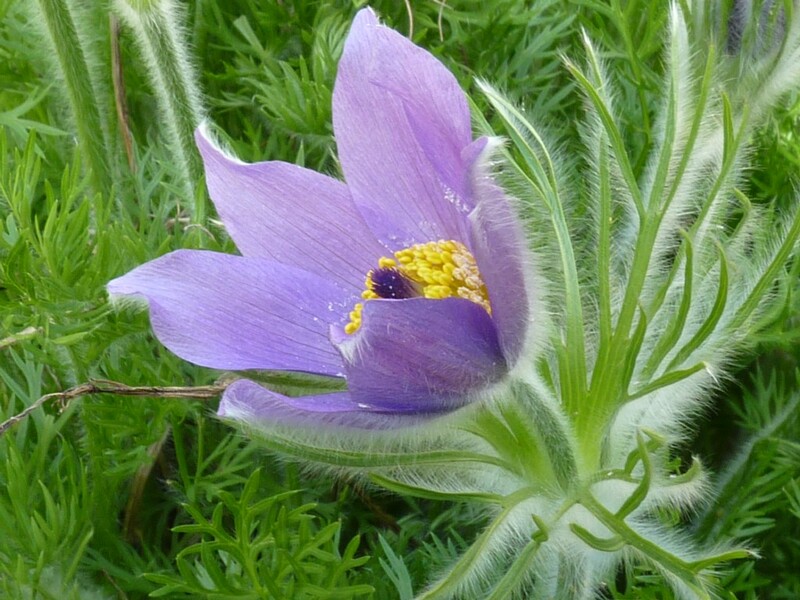 A rare British native and still to be found on a few chalk downland slopes. 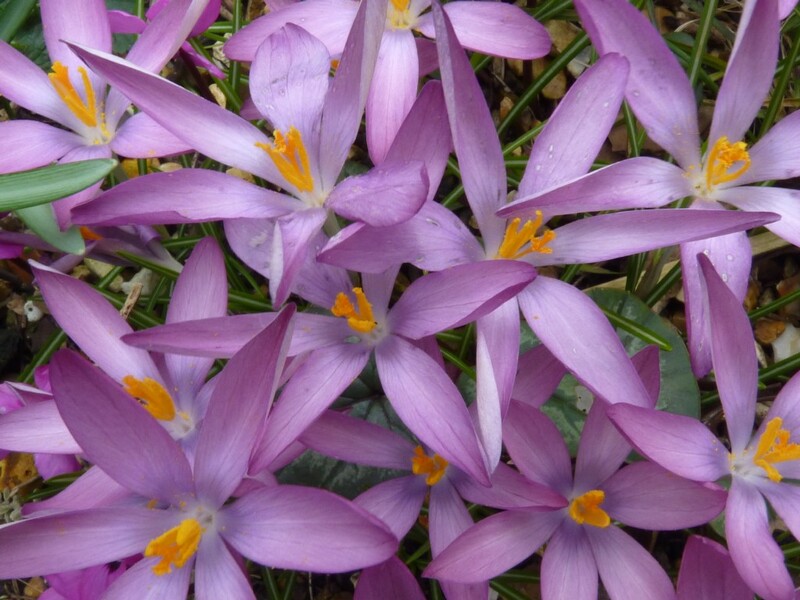 Easy to grow with beautiful flowers in March / April followed by attractive seed heads. 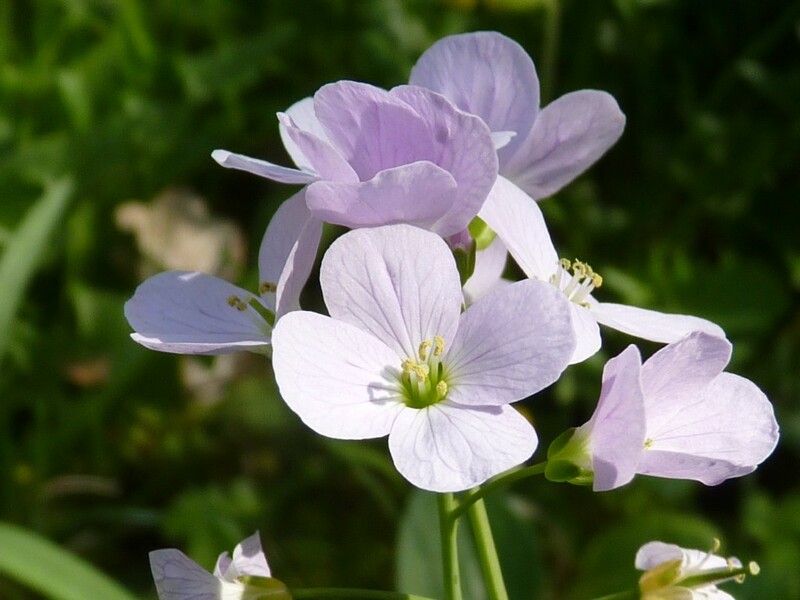 Also known as cuckoo flower: a dainty British native thriving in damp meadow conditions, seeding about when happy but never invasive. 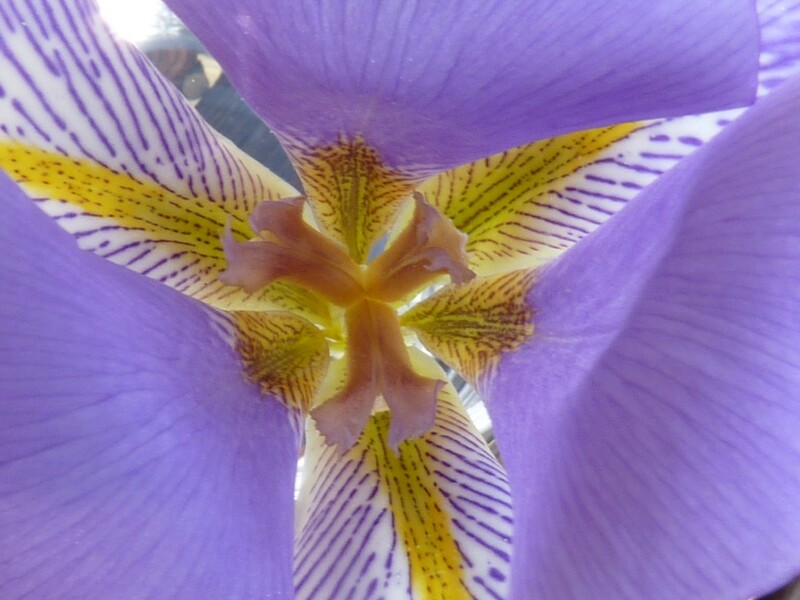 A spring flowering bulb possibly one of our most beautiful wild flowers. Loves damp meadow conditions and multiplies freely when happy. 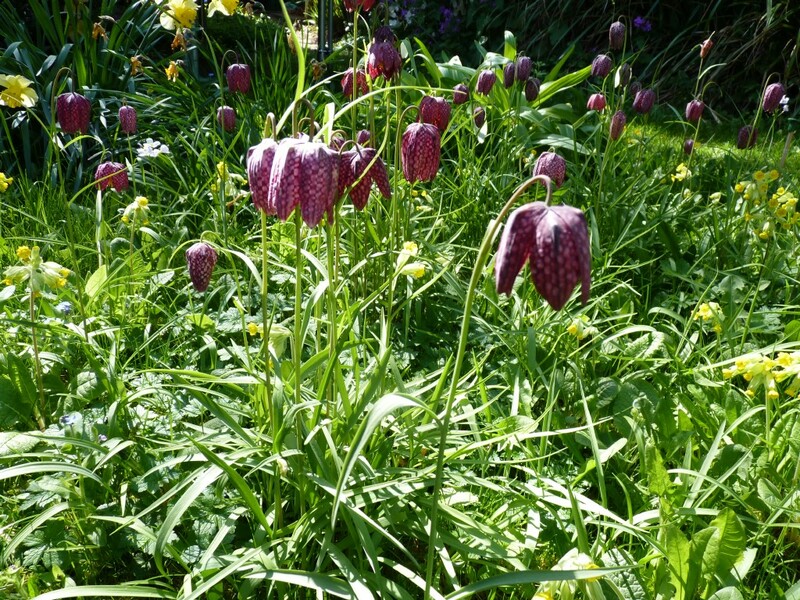 Planting Fritillary bulbs in an area of grass / lawn together with cowslips and cuckoo flowers provides a stunning combination for a spring meadow. Make sure the grass / lawn area is of low fertility and adopt an appropriate mowing regime to ensure flowering each year. No mowing from January to mid-late June then cut and keep grass to about 2-3 inches from then on. Stipa / Allium: an unusual combination of the feather grass (Stipa tenuissima) and Allium 'Purple Sensation'. 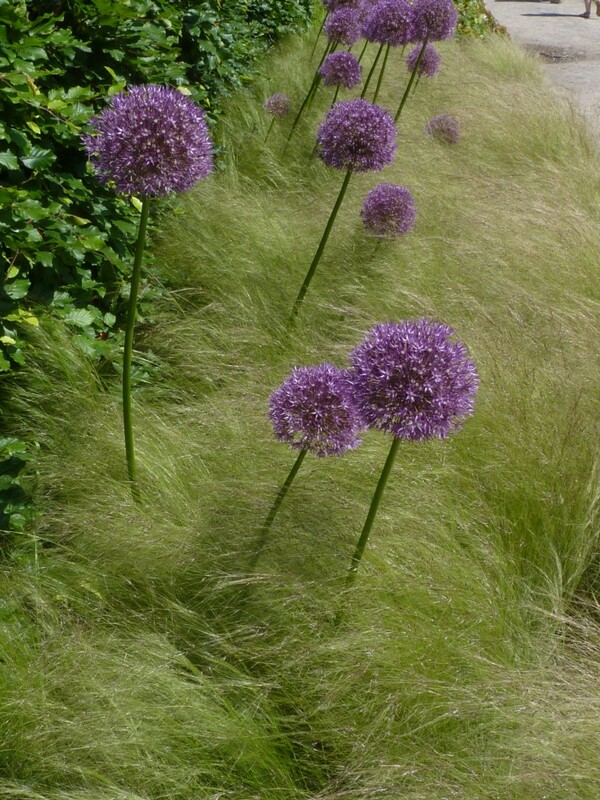 The Allium's pom-pom like flowers seem almost to be suspended above the waves of grass. 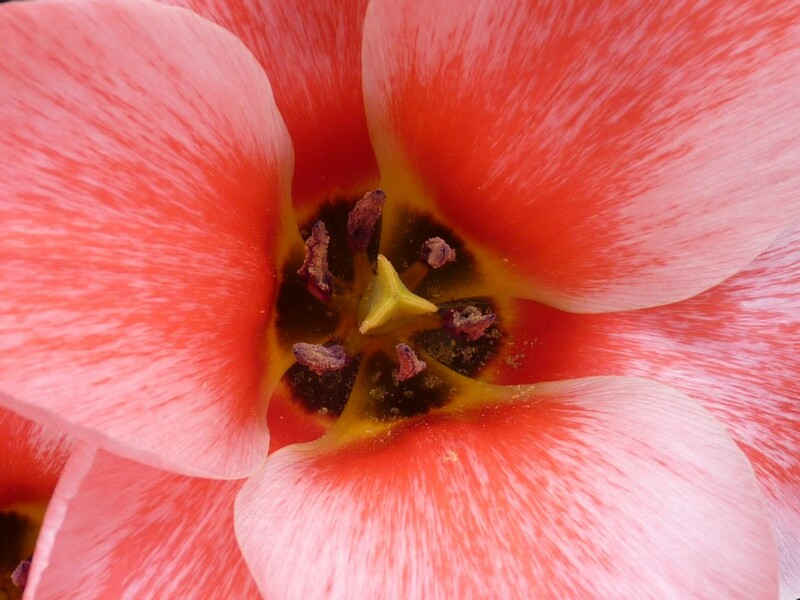 A spring favourite: small but reliable flowers open wide in the spring sunshine revealing the orange stamens. 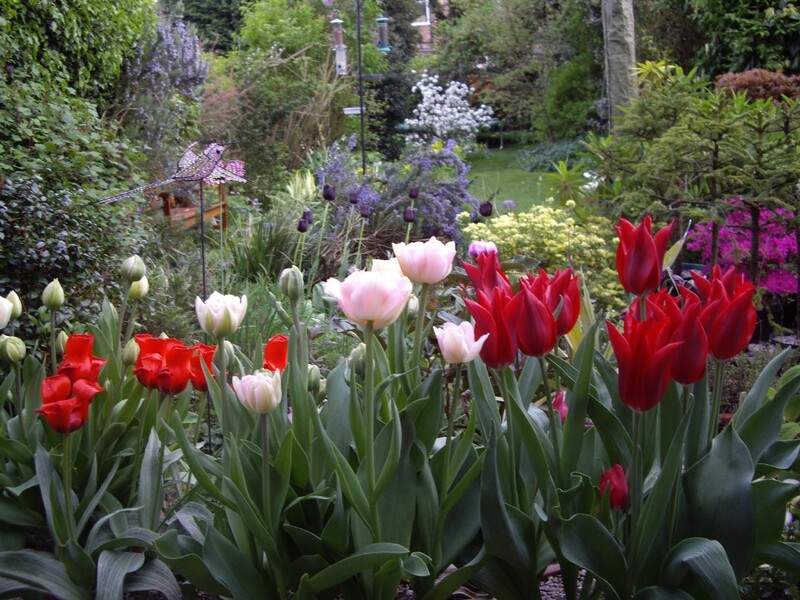 Difficult to get garden tulip varieties (but not species tulips) to provide a repeat performance in their second year of flowering, particularly if planted out in the garden in a clay soil. I plant mine in pots and use fresh bulbs each year. 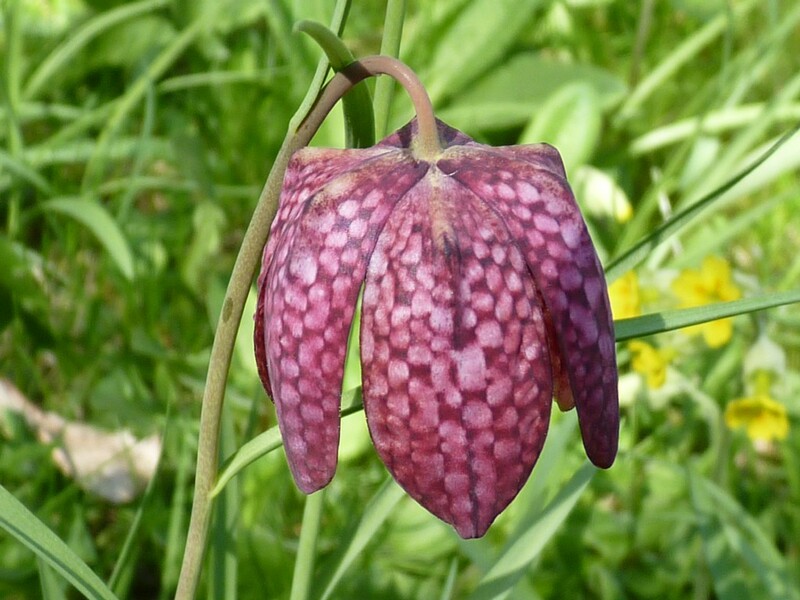 There are lots of different varieties, and growing them in pots enables the exquisite flowers to be studied close-up.